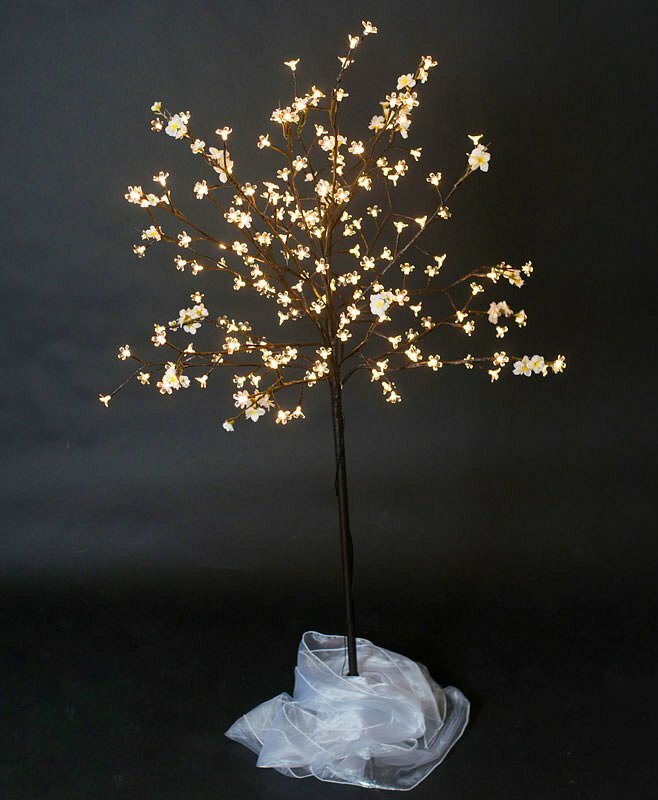 A dark wood tree with soft LED lights and white cherry blossom. 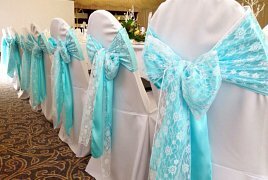 Ideal as a free-standing decoration or centrepiece to stlye aisles, entrances and other focal points at your wedding ceremony and reception. 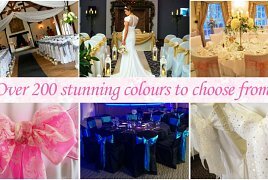 The fairylight cherry blossom tree is perect used as a decoration in the room to enhance bare walls and it looks great placed at the beginning or end of an aisle runner during ceremonies. It can also be used as a wish tree. 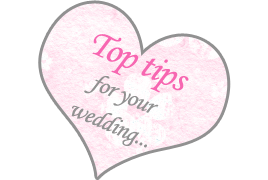 The base can be covered by an organza or taffeta sash to match the room decoration and your chosen colour scheme. 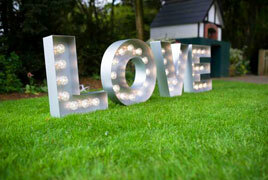 Simply plug into the mains to create your ambient wedding lighting.